Find out how children's acquitted perception of life can teach you to become successful. A child’s innocence is one of the greatest tools for success. Children have the ability to view the world around them without the strict social norms placed on adulthood. Creativity, curiosity, and determination are three key elements to success you master at a very young age. Adults often lose the ability to see life’s many opportunities with great virtue. While children learn a great deal about the world from adults, they can also teach you how to become successful through an acquitted perception of the universe. A realm of opportunity presents itself whenever you discover something new. Children form their understanding of the world around them through the willing reception of new philosophies, notions, and designs. They surround themselves with the unknown before emerging with new skills. A kid can't learn how to swim without being submerged in a body of water. While these foreign concepts may frighten a child, it doesn't stop him or her from diving in head first. In order to achieve success, you must conquer your fear of the unknown. It isn't easy to leave your comfort zone behind while exploring new possibilities. Humans are creatures of habit, which means change doesn't always come easy. The road to success is largely uncharted and elusive if you don’t know where to look. Each time you embark on a new journey, you're one step closer to success. 2. Earn rewards by taking risks. Children aren't afraid to make mistakes. They learn at an early age that the only way to earn rewards is by taking risks. A toddler falls over a hundred times before taking his or her first step. Kids don't let one failure bring them down. They understand that it doesn't matter how many times you fall down, as long as you get back up again. Children have no choice but to recognize this hard truth—you can’t become good at something without failing at it first. Adults tend to forget this lesson, and proceed with caution when it comes to taking risks. In order to achieve great success, you must also incur great failures. The pendulum effect explains that for each negative experience you encounter, the opposite effect is possible—and likely probable. The pendulum swings equally on both sides. You must take risks, and fail, in order to reach your goals. Kids don't know when to give up. They'll keep pushing at something even when the odds are stacked against them. If a small child wants to watch a Disney movie, he or she won't give up until they get what they want; even when that means throwing a tantrum for three hours. Parents have an inclination to make their children happy, and as a result, they give in to their children's desires whenever reasonable. Once a kid learns that this form of determination works, it's all over for the parents. When you want something bad enough, don't take no for an answer. Pursue your goals no matter what and don't be deterred when you reach a barrier. You shouldn't expect to win on your first attempt. Embrace each failure as an obstacle you must overcome on your path to success. Questions are key to understanding the world around you. A kid doesn't hold anything back when exploring life through human interaction. If a child wants a lollipop, then he or she asks for it. 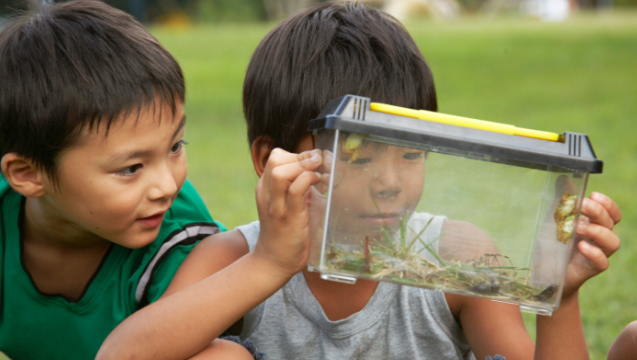 No topic is off-limits when it comes to a child's curiosity. Kids aren't afraid to ask the hard questions—especially when it may lead to something desirable. Adults often hope for things they want rather than asking. If you want something bad enough, you shouldn't expect it to happen without intent. Asking for a promotion shows your employer what your expectations are. Pride can keep you from asking the right questions. Believing that there is no such thing as a bad question is a powerful notion. Questions lead to answers. Answers lead to success. Children aren't afraid to use their imagination and dream big. When you ask kids what they want to be when they grow up, their answers are nothing short from grand. A child's imagination isn't limited by adult conventions, nor do they waver under scrutiny. Children are taught that you can accomplish anything when you put your mind to it. Creative thinking is a crucial element to innovation. Entrepreneurs are quite familiar with dreaming big. Leveraging artistic thinking with complex problems can lead to creative solutions. No adult has ever reached their goals without first having a dream to build upon.